This (male?) 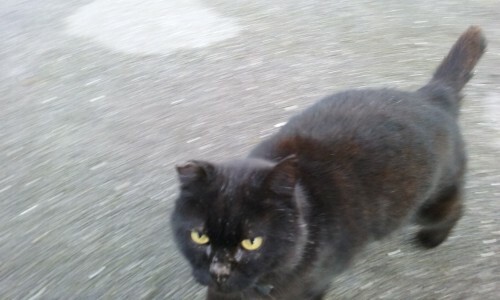 cat has been fed by someone in Shanagarry for the past 6 months. He only has half a tail and is wearing a red collar. Please contact 086 1583501 if you know anything about him.